Tennis Ball Machine Rentals - Rent a tennis machine now! Any reproduction, re-use, or manipulation of content or images found within the Tennis Machine Rentals website for purposes aside from it's original intent without prior consent of TMR is strictly forbidden. All features including real-time availability, Find-A-Court, and Find-A-Partner is subjected to changes. 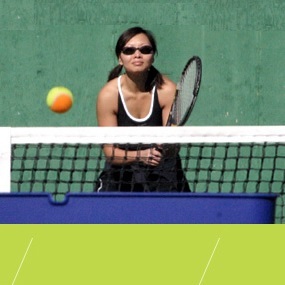 Tennis Machine Rentals (TMR) and all affiliated Lessors has the right to refuse reservations or provide services in situations where TMR or Lessor feels either renter or equipment would be at risk. Historical activity of renter, invalid ID, insufficient deposit amounts, use by minors without consent, and weather are all possible reasons. Customer shall pay, in advance, a minimum fee of $25 or $30, depending on time of use. The equipment shall be returned by the return time to the pick-up/return location. Customer shall be responsible for returning the Equipment in the same condition as when it was picked up. Customer shall be responsible for any and all damage and/or loss to the Equipment. In addition, Lessor may ask Customer to provide a proof of identification and credit card deposit as collateral. Credit card shall only be charged as a payment option or through in the event of damage or loss to the equipment. Any transactions requiring credit cards will require valid identification. Full billing information will be required to conduct authorizations with credit card provider. No credit card information will be stored in any system owned or operated soley by Tennis Machine Rentals, LLC. Customer further warrants that the Equipment shall not be used by minors under the age of 18, without the minor's parent or legal guardian's prior written consent, and in no case shall any minor use the Equipment without supervision. CUSTOMER ACKNOWLEDGES THAT THE BALL MACHINE, IF NOT USED PROPERLY, CAN CAUSE SERIOUS BODILY INJURY OR HARM. CUSTOMER HEREBY RELEASES LESSOR FROM ANY AND ALL LIABILITY ARISING OUT OF THE USE OF THE EQUIPMENT. THE EQUIPMENT SHOULD NOT BE USED ON WET SURFACES, IN THE RAIN, OR IN CONJUNCTION WITH FAULTY ELECTRICAL OUTLETS OR POWER SOURCES. CUSTOMER FULLY RELEASES LESSOR FROM ANY AND ALL LIABILITY OCCURRING WHILE THE EQUIPMENT IS NOT UNDER LESSOR'S CONTROL. FURTHER, CUSTOMER TAKES FULL RESPONSIBILITY FOR ALL EQUIPMENT INCLUDING ANY DAMAGE TO EQUIPMENT FROM THE TIME OF PICK-UP TO THE TIME OF RETURN. CUSTOMER SHALL REIMBURSE LESSOR FOR ANY AND ALL DAMAGE TO THE EQUIPMENT. Tennis Machine Rentals despises SPAM and other irrelevant marketing ploys. So the last thing we'd ever consider was to make any information collected on this site available to 3rd party entities without a user's permission. You can feel assured that no emails or other personal information are shared, sold, or distributed without explicit consent from users. In addition, Tennis Machine Rentals does not store any credit card numbers, and uses PayPal to handle our transactions. Tennismachinerentals.com IS NOW IN DALLAS TEXAS! - Customers in San Francisco/Palm Springs/Redwood City CA, Harrisburg PA, Hartford CT, Dallas/Irving TX, can enjoy optional delivery services on their next rentals. Additional fees apply.